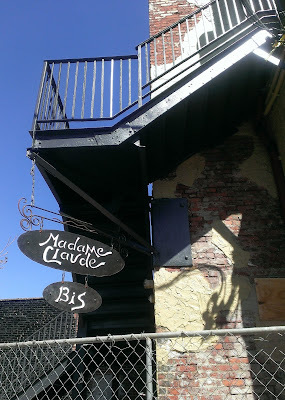 Madame Claude Bis, owned and run by husband and wife team Mattias Gustafsson and Alice Troletto, is tentatively scheduled to open tomorrow, Wednesday, June 1st. confirmed open as of June 1st. They'll be open Tuesday through Sunday for dinner (with Manouche Bag playing every Thursday) and will offer brunch on the weekends beginning at 9am. Congratulations to Dullboy, named one of the 18 Best Bars in America by Esquire. Milk Sugar Love is now offering Stumptown nitro cold brew on tap at the shop. 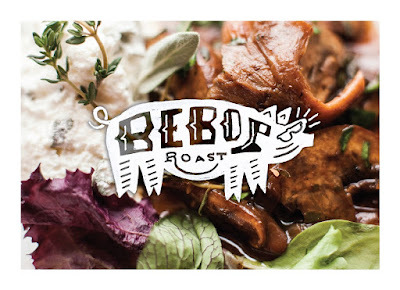 New culinary project Bebop Roast is launching at the Van Vorst Farmer's Market this weekend. 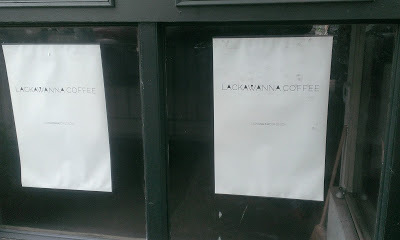 After a fairly lengthy renovation process, Lackawanna Coffee is now open! 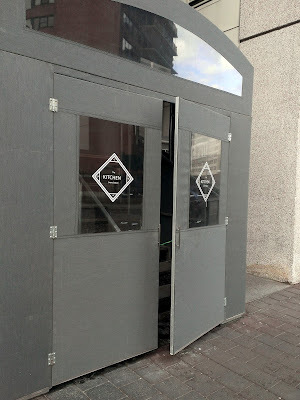 The Kitchen at Grove Station closed suddenly last year after reports of a split between the kitchen staff and management and although they initially stated they'd reopen after a brief hiatus, no other announcements or developments were forthcoming. However, now new spot Latham House is moving in. 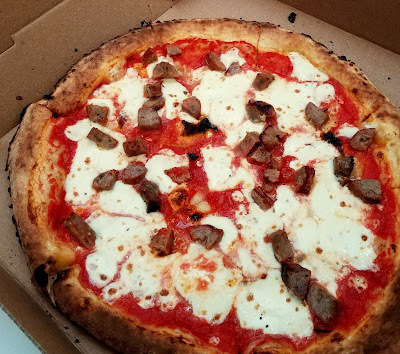 Congratulations to Razza on being named one of the best pizza places in New Jersey on Thrillist. Satis Bistro is opening a new location in Bloomfield, NJ. Frequent market vendor, Squeeze'd, will soon be debuting their new food truck and with it, an expanded menu. Chef Ryan DePersio and The Kitchen Step were featured in an article about spring dishes on OpenTable. This Friday, 5/20, The Morgan at Provost Square is sponsoring a Jersey City Food Truck Rally. 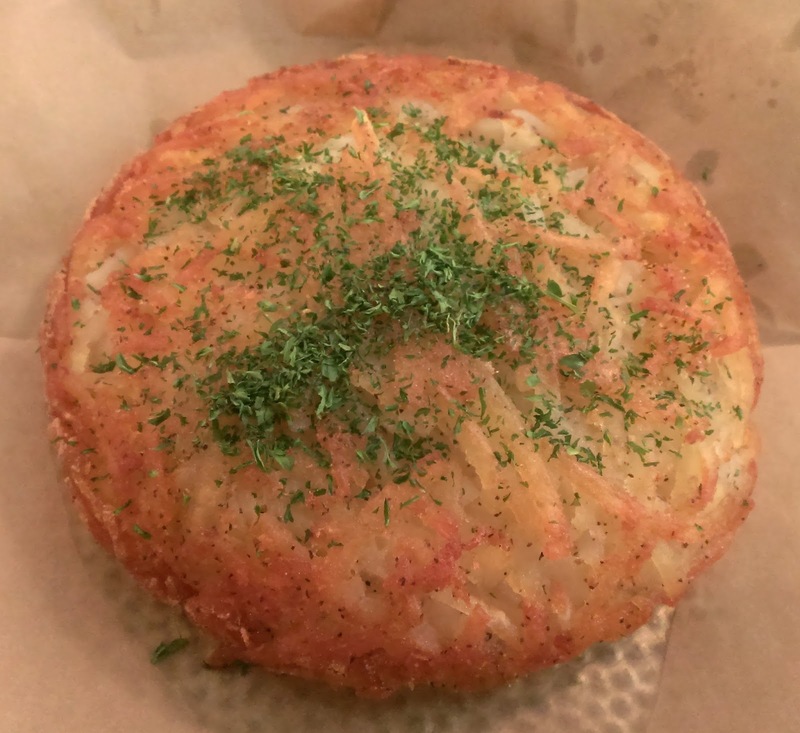 Cafe Batata, 382 Second Street, opened about two months ago with a Brazilian menu focusing on Batata Suíça, a stuffed Swiss-Brazilian potato pancake. They also offer other Brazilian specialties like various croquettes (I tried the plain chicken - slightly dry but great flavor), pao de queijo (light, airy cheese breads that they do an excellent job with here), and brigadeiro (Brazilian chocolate truffles). Congratulations to Just Beclaws who celebrated their one year anniversary this weekend. Both Hamilton Pork and The Hamilton Inn are now hiring. Congratulations to Martha's who celebrated their Grand Opening/Ribbon-Cutting last week. As a reminder, Third & Vine is hosting their first winemaker dinner on Wednesday 5/18 with two Spanish winemakers. Tickets should be reserved ahead of time, $65/person. Given the number of weather-related event cancellations we've had so far this spring, this weekend is especially packed with events all around town all with great vendors and a lot to eat. As recently reported, Hoboken's Antique Bakery closed up their Hoboken location and moved all of their operations to Pecoraro Bakery in Jersey City. Although Antique Bakery bought Pecoraro Bakery a couple of years ago, they didn't make many changes, keeping the overall menu, the staff, and the name and they continued to sell under their own name at the Hoboken location. Now that they have formally moved and are operating full-time out of Pecoraro Bakery, they are starting to update and modify some aspects of the existing bakery. PJ Ryan's new location, PJ Ryan's Squared, has officially opened to the public. Congratulations to Departed Soles Brewing Co. for taking the bronze at the World Beer Cup this weekend with the gluten-free A Dark Night. Congratulations to Taqueria Viva Mexico for being named on NJ.com's list of 20 Great Authentic Mexican restaurants in Jersey City. Gusto Latino will be closed on Sundays for the summer. Congratulations to The Archer and Dullboy for being named as two of the best cocktail bars in New Jersey by NJ Spotlight. Today, 5/4, marks the return of both the Hamilton Park Farmer's Market and the Journal Square Green Market. 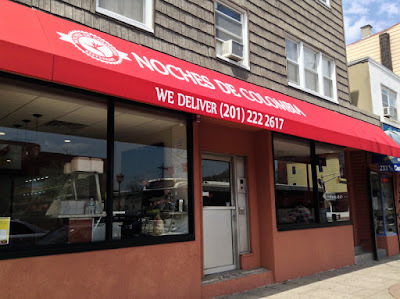 Noches De Colombia, an extremely popular Colombian restaurant with various locations around North Jersey, recently opened one of a new location in Jersey City. Today, 5/2, marks the return of the Farmer's Market at Grove Street. The market will run every Monday and Thursday through December from 4:00pm-8:00pm. Ben & Jerry of Ben and Jerry's Ice Cream will be at Zeppelin Hall on Monday to help register voters and campaign for Bernie Sanders from 6:30-8pm - and they will be giving away free ice cream. 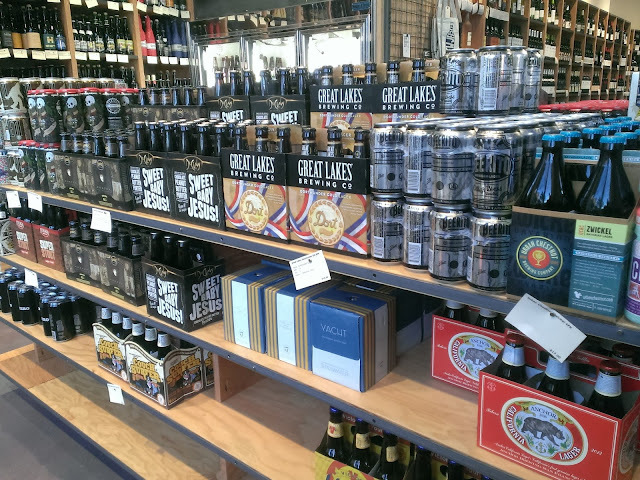 Beginning Monday, Milk Sugar Love will start summer hours. The shop will be open every day from 11am-10pm. After some renovations and menu revamping, Raval started serving brunch again this weekend. They will be offering it every Sunday between 12pm and 4pm. The Archer has launched their new spring menu for both cocktails and food.